NomadVagabond What Would Shockwave Do? Neither of the listings are accompanied by pictures but the names are strongly suggestive of what they might represent. "Red Swoop" is probably exactly what it sounds like and, if history is any indicator, "Ricochet" is likely a redeco of Jazz. If these are real, then Elita Infinite has her right leg. And those that said it was a black repaint of Jazz were correct. So probably next year's version of CW Slingshot, Wildrider, and Groove, etc. This is random. However, yes please. Give us more Combiners. Don't have a use for a red Swoop but more rank filling cars are welcome. And hey, it's one of the Targetmasters. Pretty cool stuff if this is real. Please give us Arcee and the remaining bots from Elita's G1 team. I will gladly take a Ricochet Anytime though! Possible New POTP Jazz Repaint? I am super stoked for both of these though. You can never have too many combiner legs, especially when we have so many torsos. I'll probably get red Swoop. interesting they have the sub line name Select series maybe more will show up then these two? Also they have a release for January so hopefully we will see them soon. 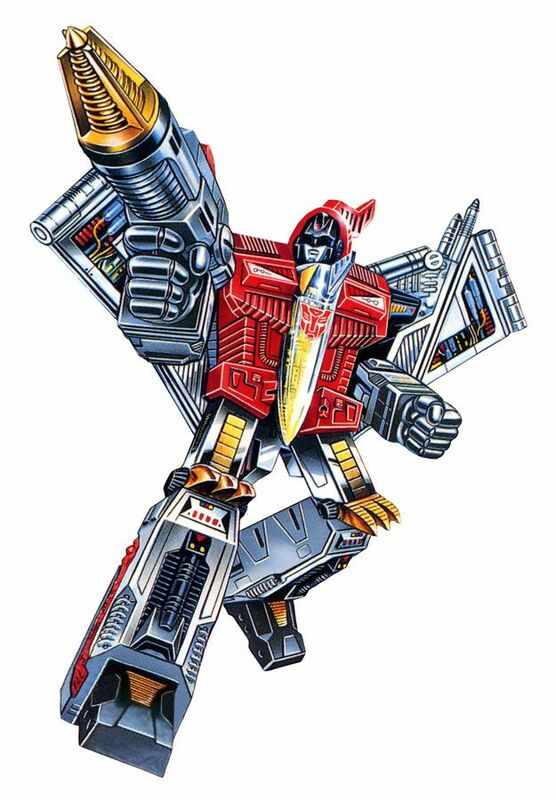 I'll give Red Swoop an SG Autobot sticker and put him on Starscream. Now we just need some more figures that evoke the G2 Protectobots to finish out Inferno and Wreck-Gar. You want to know what I would love to see with the red Swoop. I would love them to go fully toy accurate and remold his head to look like his g1 toy with the visor. Rooks alternate head "Ironclad" was supposed to represent Ironfist apparently I believe. Nexus Prime, please? If they do continue to have a Select Series after these two releases, that is. I agree with everything you said! I really hope we get those two combiners, we know there is tooling for it. Theres precedence for Hoist, as he already had a molded head for Trailbreaker. Hasbro never used it, but Funpub almost did for a set of Autotroopers. That is interesting. Sounds like a new batch of Amazon.com exclusives like Blast Off/Repugnus/Punch. Not interested in Red Swoop or Ricochet but I would love to see the POTP Jazz repainted as G2 Drench on down the line. And even though we are supposedly getting a new Walgreens exclusive Siege Ratchet, I'd like to see a US general release of Unite Warriors Ratchet. Well that's interesting. If Red Swoop shows up locally might pick him up since he matches the other team members and won't look odd on Volcanicus.